Emerging markets: Out-performance to continue? “Emerging markets (EMs) are on a roll. The MSCI EM Index rose 18.6% in the first half1, EM local currency debt returned 8.8%2, and for the first time in years, all the BRIC countries (Brazil, Russia, India and China) grew at the same time3, as the former two crawled out of recession. EMs have been through a testing time in recent years. Low commodity prices hurt growth in 2015 and 2016; in 2013 the ‘taper tantrum,’ prompted by fears of US monetary policy tightening, saw investors take fright. In 2017 many markets turned a corner, as recovering global growth and corporate earnings, a weak dollar, easy monetary conditions and low volatility boosted prospects. As EM growth has returned, price pressures have mostly remained contained, even in high-inflation markets Brazil, Russia, India and Indonesia. “We believe in a long-term EM growth story: based on favourable demographics and the early stage in their recovery. EMs are now delivering roughly twice the growth of developed markets, and we expect that differential to grow to 20204. EM manufacturing Purchasing Managers Indices are in expansionary territory5, and the Citi EM Surprise Index is near multi-year highs. EM companies’ earnings growth has largely delivered on analysts’ high expectations this year– with titans Baidu, Tencent, Alibaba and Samsung seeing impressive share price gains. EM local currency debt currently offers spreads of around 400 basis points over US sovereign debt: more than twice the yield differential available 10 years ago (see chart). And after sharp falls for EM currencies in recent years, we estimate that on average, they are 20% undervalued versus their fair value on a purchasing-power parity basis6 (see chart). “The second half of 2017 looks more challenging. EM growth supports – cheap valuations and easy financial conditions – are being whittled away. EM equities now trade at 13.4 times estimated 2017 earnings – up from 10 times in the early years of the decade7 – one corollary of money flowing back into EM funds. Central bank crisis measures are ending, with rate rises on the cards in much of the world. In the last week of June, global bond yields and currencies reacted sharply to speeches from US, European and UK central bankers hinting at tighter policy ahead. We predict balance sheet shrinkage and a further rate hike from the US Federal Reserve (Fed) this year; and an announcement by the European Central Bank on reduced asset purchases in late 2017. This could create some temporary volatility for EMs. Will the Fed stop the party? “To varying degrees, EMs import Fed tightening via their exchange rates, potentially damaging growth. But we have reason to believe the wider economic impact will be contained. The US dollar (USD) rose sharply well ahead of the Fed raising rates in late 2016– which it has already done three times since December of that year – yet EM equities and bonds have gained ground. From here, we see gradual US balance sheet shrinkage and rates topping out between 1.5-2.0% (from today’s 1.25%8) next year. Furthermore, many EMs now have floating exchange rates, preventing the kind of currency/debt crises seen in previous decades. 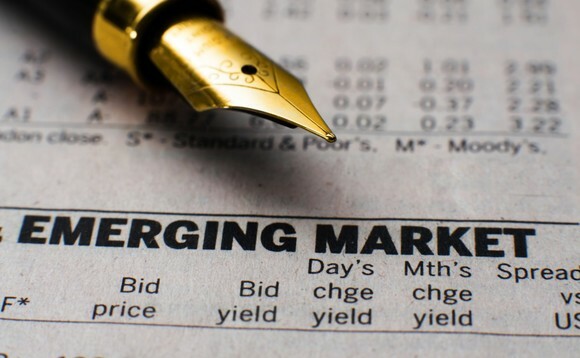 Have emerging markets reached a nadir? “Another much-cited concern for EMs is the weak oil price and commodity outlook. Of course, many EMs are oil exporters, but others in Asia are importers, for whom lower prices are a growth/ current account boost. Commodity price weakness in 2017 has so far failed to dent EM performance. Despite concerns over US shale investment and increasing production in Nigeria and Libya, we believe the Organisation of the Petroleum Exporting Countries (OPEC) will strive to keep a lid on production and support oil prices. And the oil market has been in deficit over the past quarter, after almost three years of oversupply. Our core scenario sees oil evolving within a USD45-60 per barrel range over the next 12 months, a level we believe will not derail the EM growth story. China – can risks be contained? “China is also high on many EM investors’ worry lists. While we acknowledge that the country faces a sharp credit adjustment in the medium to long-term, we see little cause for immediate concern. The deflationary threat has receded. Chinese authorities have already moved to squeeze some of the leverage out of financial markets, and retain sizeable fiscal and monetary policy levers to manage solid economic growth, backed up by USD3 trillion in foreign exchange reserves9. This year they have more reason than most to hold a steady ship, ahead of November’s five-yearly Communist Party National Congress. Meanwhile, much of US President Donald Trump’s touted trade protectionism has not materialised, and China is increasingly supporting regional trade, with efforts to conclude a Regional Comprehensive Economic Partnership, and an unprecedentedly ambitious ‘One Belt, One Road’ infrastructure and investment programme linking China to Central Asia, Russia, Europe and Africa. Brazil – yet another political scandal?